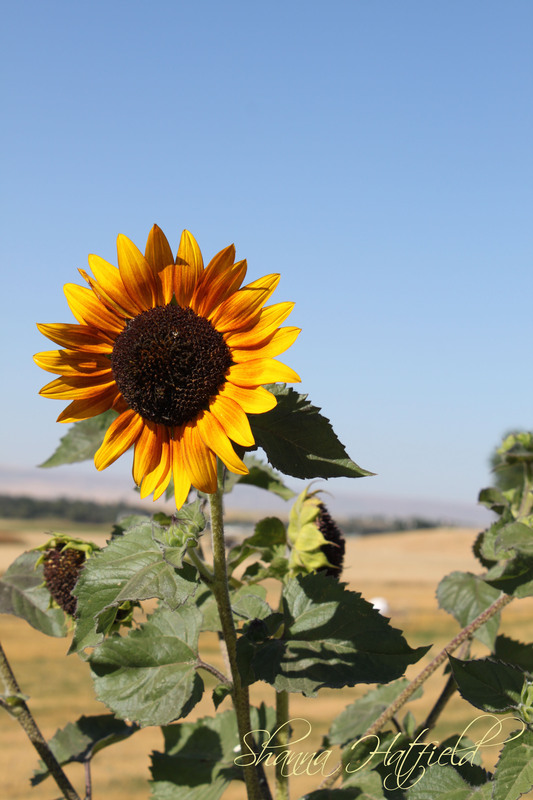 I don’t know what it is, but there is something about sunflowers, particularly against the backdrop of wheat fields and blue sky that just screams summer to me. It probably harkens back to the days of my childhood when wheat harvest was an important part of the summer activities I tried to avoid. 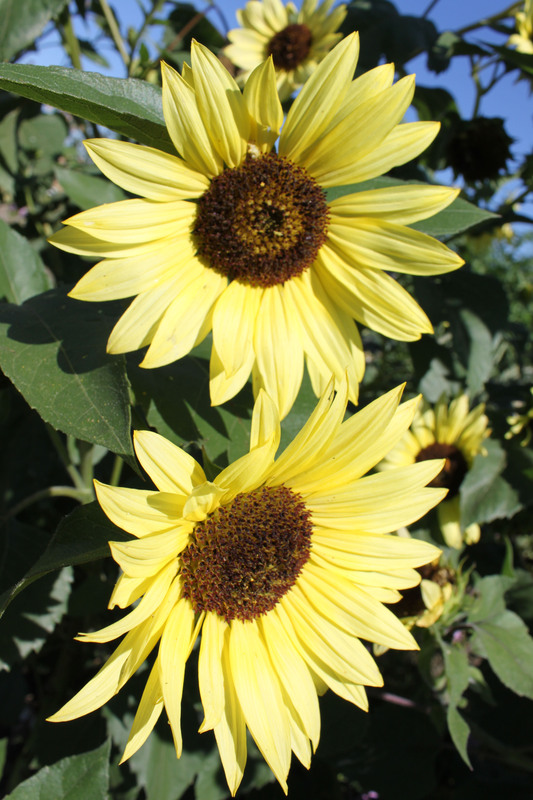 The edges of the fields often had volunteer sunflowers waving their bright little heads in the breeze. I always thought they were cheery and fun. My dad thought they were just one step above noxious weeds. Regardless, they are a beacon of summer and simpler times that yank me back to summer days spent outside, covered in itchy wheat chaff, spending time with my dad. 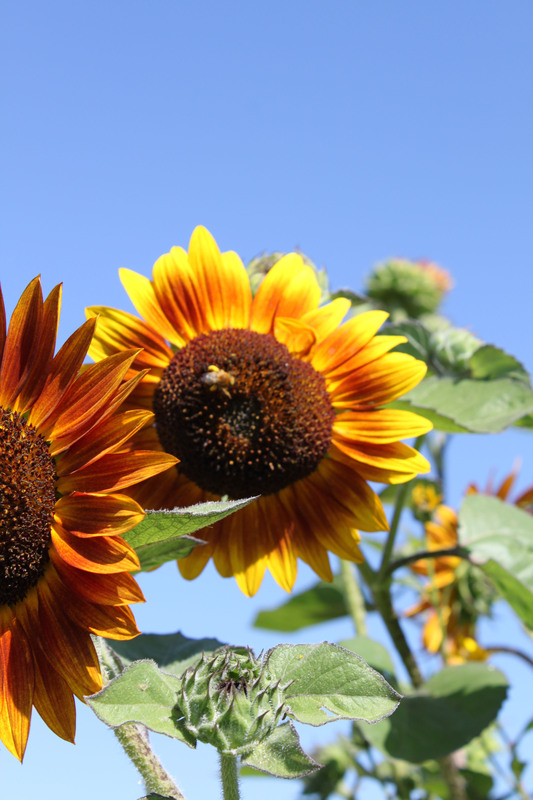 The other day I was out snapping photos of a garden that is absolutely amazing and lovely and they were actually growing sunflowers in the garden.